Magnetic strength is important when choosing magnet, but equally important is the material/surface that the magnet will adhere to. The material, distance, thickness and surface area all have an effect how the magnets grip. The distance between the magnet and the adhesive surface or the object is a huge determinant of the magnet’s force. These two are inversely related so the greater is the distance, the lower the magnet’s grip. It is important to keep in mind that doesn’t need to be a huge change in the distance to see this effect, just moving the magnet a millimetre closer or further apart can half or double the magnet’s hold. Some materials are far more receptive than others and it’s important to choose the right receptive material. Soft iron core is the best material for adhesion, followed by structural steel and steel plate. Magnetic paint can provide strong adhesion when used with magnetic rolls, due to their large surface area. Alternatively, you can use flexible iron as a base. The type of surface and the surface area of the magnet also play a critical role in its strength. Smoother surfaces tend to attract and grip onto objects a lot better than rougher ones. Apart from the actual size of the area is also important because what is interesting to note is that magnetic paper or a large magnetic roll has quite a small holding force in comparison to a neodymium magnet, however the sheet will grip much better to magnetic paint and some other receptive materials due to its much larger surface area. This is because when you increase the surface area, the magnet has more to hold onto. Put simply, thicker materials are preferable to thinner materials. When the object is too thin, magnetic saturation tends to occur rather quickly. This renders a part of the magnetic field useless thus decreasing the magnet’s effect. 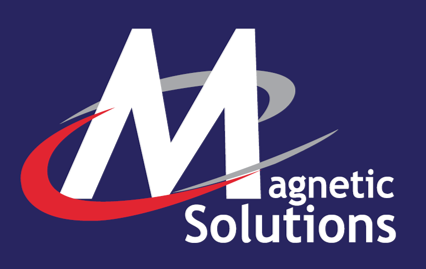 It’s important to bear all these factors in mind when you’re choosing a magnetic-based solution. If you need any help, just give us a call and we’ll talk you through the best option for you.